We sell lamb by the whole and half-lamb. Whole lambs cost between $240 and $300, depending on the weight of the lamb. Half lambs cost between $120 and $150. Individual cuts are also available, as well as merguez sausage, made with our very own spice blend. We sell from our farm, at the Great Barrington Farmers’ Markets in the late summer and fall, and at the Berkshire Grown Holiday Markets. Please contact us at (413) 528-4373 to find out details. 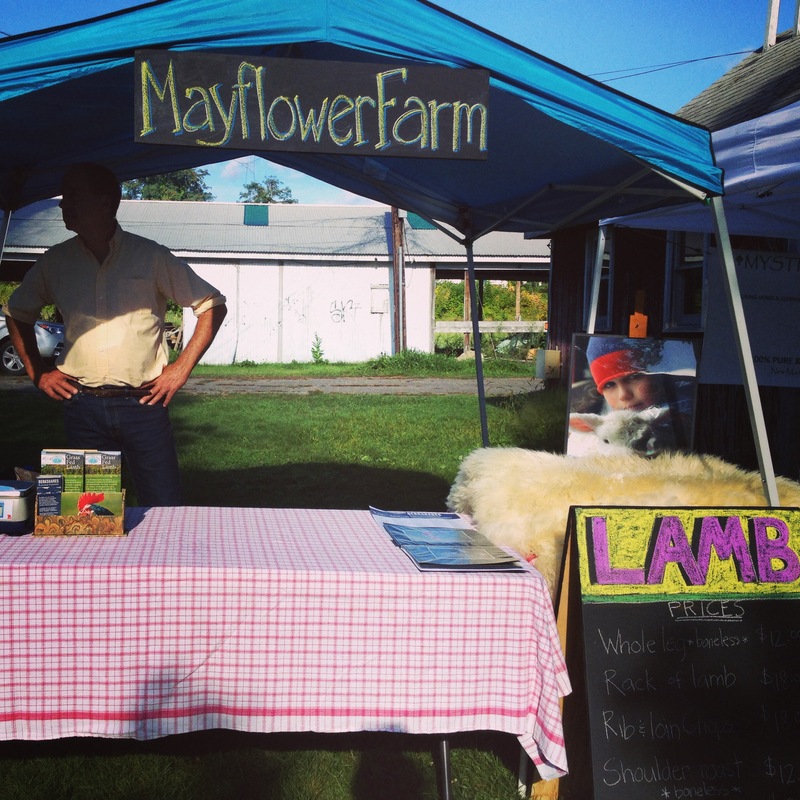 Mayflower Farm lamb is sometimes also available at Bizalion’s Fine Food, at 684 Main Street in Great Barrington, MA.